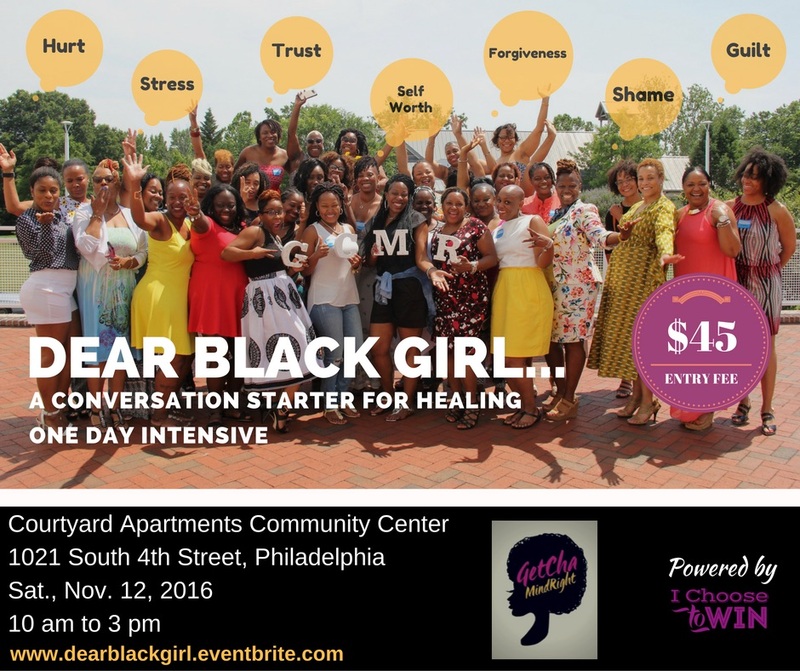 September 28 – In partnership with Get Cha Mind Right, Inc., I Choose To Win will be facilitating a full-day Winning Workshop entitled, Dear Black Girl: A Conversation for Healing. The November 12th event will feature honest conversations about life’s struggles that impair our ability to see ourselves the way God does. We will address hurt, pain, guilt, shame, disappointments, forgiveness, stress and so much more, and their effects on our esteem, confidence and faith. We plan to discuss winning strategies for overcoming life’s struggles so the women in attendance may awaken to their purpose, pursue their passion and unleash their power to positively impact the world. Stay tuned as details will be released over the next few weeks.